The wedding site does not have parking facilities, so we have arranged for parking nearby. There will be shuttle vans available to transport guests to the wedding site. It is roughly a two-minute ride, but quite steep, so we do not suggest walking. 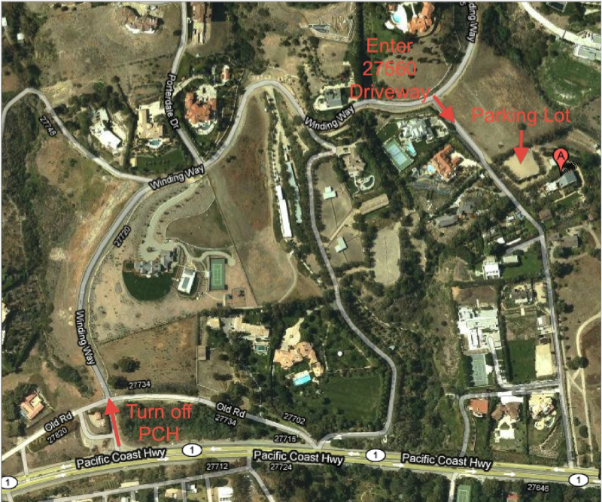 The address of the parking lot is 27560 Winding Way, Malibu, CA. Please see the map below for details.